Our solar system is in a unique area of the universe that’s conducive to life, says John Webb and his colleagues at the University of New South Wales, who have carried out intensive study that threatens to turn the world of theoretical physics upside down. The team studied the fine structure in the spectral lines of the light from distant quasars from data from the Very Large Telescope (VLT) in Chile with stunning results that showed that one of the constants of nature –the Alpha appears to be different in different parts of the cosmos, supporting the theory that our solar system is in a part of the universe that is “just right” for life, which negates Einstein’s equivalence principle, which states that the laws of physics are the same everywhere. The “magic number,” known as Alpha or the fine-structure constant, appears to vary throughout the Universe, concluded the team from the University of New South Wales, Swinburne University of Technology and the University of Cambridge. “This finding in 2015 was a real surprise to everyone,” said John Webb of the University of New South Wales in Sydney, Australia. The change in the constant appears to have an orientation, creating a “preferred direction”, or axis, across the cosmos, an idea that was dismissed more than 100 years ago with the creation of Einstein’s special theory of relativity. 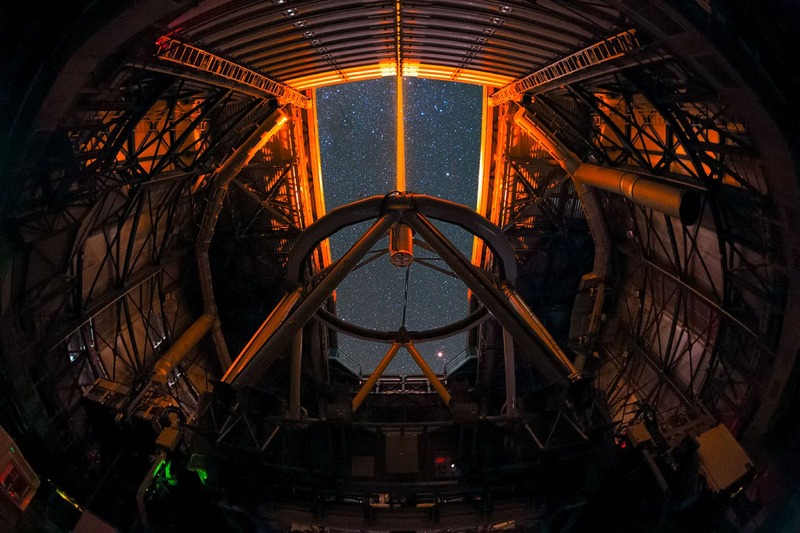 The researchers’ conclusions are based on new measurements taken with the Very Large Telescope (VLT) in Chile, along with their previous measurements from the world’s largest optical telescopes at the Keck Observatory, in Hawaii. The core finding of the new study is the fine structure constant (alpha). This number determines the strength of interactions between light and matter. A decade ago, Webb used observations from the Keck telescope in Hawaii to analyze the light from distant galaxies called quasars. The data suggested that the value of alpha was very slightly smaller when the quasar light was emitted 12 billion years ago than it appears in laboratories on Earth today. 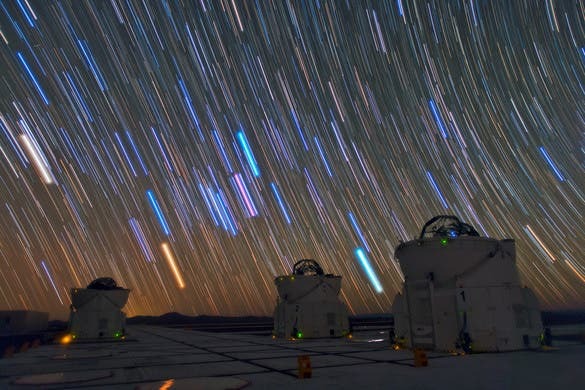 Webb’s colleague Julian King, also of the University of New South Wales, has analyzed data from the Very Large Telescope (VLT) in Chile (below), which looks at a different region of the sky. The VLT data suggests that the value of alpha elsewhere in the Universe is very slightly bigger than on Earth. King says that after combining the two sets of measurements, the new result “struck” them: “The Keck telescopes and the VLT are in different hemispheres; they look in different directions through the Universe. Looking to the north with Keck we see, on average, a smaller alpha in distant galaxies, but when looking south with the VLT we see a larger alpha. Michael Murphy, of Swinburne University of Technology, says the discovery will force scientists to rethink their understanding of Nature’s laws. “The fine structure constant, and other fundamental constants, are absolutely central to our current theory of physics. If they really do vary, we’ll need a better, deeper theory,” Dr. Murphy says. While a “varying constant” would shake our understanding of the world around us, Dr. Murphy notes: “Extraordinary claims require extraordinary evidence. What we’re finding is extraordinary, no doubt about that. The team’s analysis of around 300 measurements of alpha in light coming from various points in the sky suggests the variation is not random but structured, like a bar magnet. The Universe seems to have a large alpha on one side and a smaller alpha on the other. If the interpretation of the light is correct, it is “a huge deal”, agrees Craig Hogan, head of the Fermilab Center for Particle Astrophysics in Batavia, Illinois. But like Cowie, he told New Scientist that he suspects there is an error somewhere in the analysis. “I think the result is not real,” he says. “Dark Matter is Central to Our Understanding of the Universe” – But Does This Hidden Force Exist?